Textures of electronic chirps and whirrs hang on the instruments. They skirt the edges of the riffs to hold each song together in a way which conjures celestial intrigue. Any single noise sounds odd, though their sum boxes you in a spectral void. It’s when you focus on the psychedelic riffs, the space engulfs you with unease. “Sixth Side of the Pentagon” is a perfect example. A throbbing bass palpitates over pockets of stifled air while the drum beat flickers and twists. It’s an experience marked by minimal guitar and capstones Apes’ perpetual evolution as an instrumental behemoth. Spectral Domain is a journey through the cosmos marked by anxiety. 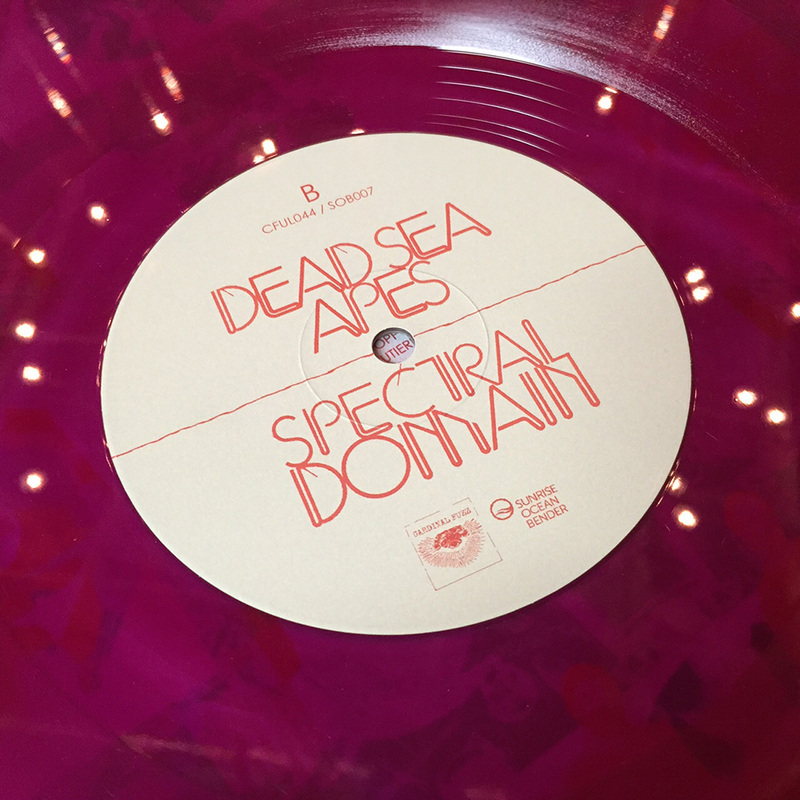 Although the psychedelic trip is brief, its ethereal embodiment inspires wonder as to which domains Dead Sea Apes will venture next.